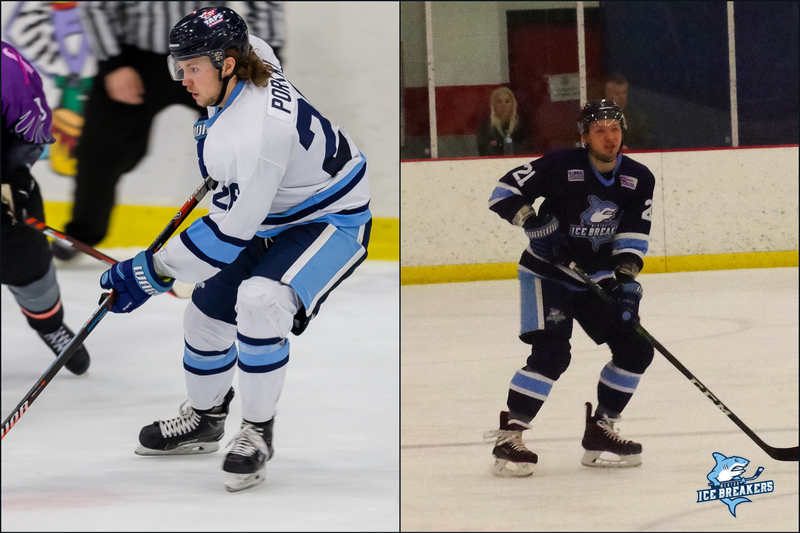 Forward Patrick Porkka and defenseman Dzmitry Daniliuk came to Mentor together following brief stints with the Berlin Blackjacks in the Ligue Nord-Américaine de Hockey (LNAH), a professional circuit based in Quebec. 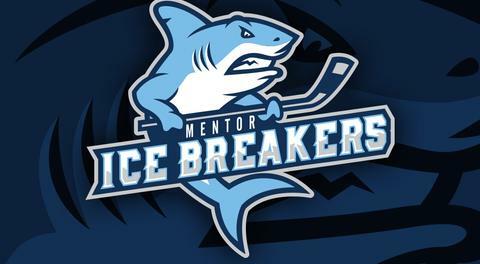 The Blackjacks folded shortly into the season, leaving Porkka and Daniliuk without a team and giving the Ice Breakers an opportunity to sign both players in mid-November. Porkka, 23, has 83 games of FHL experience under his belt over the last three years, including a 36-game stint with the North Shore Knights last season that saw him net 11 goals and dish out 16 assists for 27 points over 36 appearances. 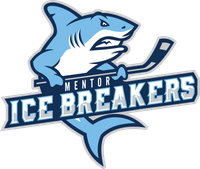 Porkka has already surpassed that point total with the Ice Breakers, putting together a 12-16-28 scoring line and serving as a key cog on Mentor's power play unit with four goals on the man advantage. Prior to this season, Porkka spent time with the Parry Sound Islanders in the GMHL and several junior clubs in his native Finland. Daniliuk is a 24-year-old out of Minsk, Belarus. From 2010-2016, he played in seven different junior leagues. In 2016, he compiled a 11-24-35 scoring line over 37 games with the Tottenham Steam and helped the club to a Russell Cup championship. After playing professionally in his native country for a couple of years, Daniliuk joined the North American pro hockey ranks for the first time this season. He reached double-digit points on the season with an assist last Saturday against the Carolina Thunderbirds, pushing his scoring line to 2-8-10. Q: How did you both end up playing for the Ice Breakers this year after beginning the season in the LNAH? Patrick Porkka: The team Dzmitry and I were on folded and the team was sold to the league and moved to Quebec. Dzmitry sent a text message to Coach Duncan, and he invited us to tryout for the team. Dzmitry Daniliuk: After our team in the LNAH folded I decided to text coach to see if he would give me a chance here in Mentor. Q: Patrick, what's it been like as one of the few players on the Ice Breakers roster with FHL experience prior to this year? Do you feel like you've had to fill a leadership role since joining the team? PP: It has definitely been nice to have some prior experience and gain some knowledge about this league. Pro hockey, no matter what level, is different than a junior or college season. The quicker you can adjust, the better off your team will be. I tried to step in as one of the leaders on this young team to help out as best as I can. Q: Dzmitry, what made you decide to come overseas to play pro hockey for the first time this year? DD: I wanted to come to North America to play in order to try to move up the ranks here and play in the best league possible. PP: The team has grown tremendously since my time first began here. It's nice to see everyone buying in and playing some great hockey here down the stretch. DD: We're playing more like a team and less like individuals. It's nice to see everyone come together. PP: Definitely playing junior hockey in Finland. DD: Playing junior hockey in Canada. PP: I love playing for Mentor. The area is great and the team, from the players to the ownership group, is top notch. DD: I like it. It's a great place to live and play for young hockey players. PP: I would say I'm a power forward. I like to chip in offensively when I'm able to, but also like to contribute defensively, killing penalties and blocking shots. DD: I think I'm a solid, puck-moving defenseman that can see the ice well. Q: What's your game day routine? PP: I try to have my pregame meal around six or seven hours before game time. I get to the rink about three hours before puck drop and get our head athletic trainer, Shaun Bailey, to help me with some stretches. Then, I ride the bike, tape my stick, and get some pre-workout in me before getting ready for warm-ups. DD: I wake up, eat breakfast, rest, eat a pregame meal, ride the bike, stretch, tape my stick, and I'm good to go. PP: My favorite players are Patrick Marleau and Joonas Donskoi. DD: My favorite is Erik Karlsson. PP: I like to relax during the season, so hanging out with the boys and watching TV is what we like to do. DD: I like to hang out with my friends during the summer, go to the lake, have some barbecue, and enjoy the offseason. DD: Chicken with mashed potatoes and salad. PP: Favorite movie is a tough one. My top three are Dumb and Dumber, the Departed, and the Goodfellas. PP: I listen to all types of music. DD: I like all types, but I'm really into rap and country music. PP: I was born in Finland and have lived there and in Germany for a good part of my life. PP: Playing in a winter classic game at Citizens Bank Park in Philadelphia for my high school hockey team. DD: When I played for the Tottenham Steam in the GMHL, we won the championship.